Leinster is the best team in Europe. Now it’s official! They beat Ulster in the all-Ireland final of the Heineken Cup and they beat them in style in front of a near capacity crowd of over 82,000 in Twickenham. 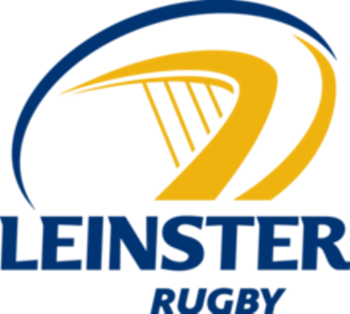 It was the heaviest Heineken Cup final victory in its history as Leinster claimed their third Heineken Cup victory in 4 years. It was also their second title in a row having won it in Cardiff in 2011. Now the head coach, Joe Schmidt, is aiming for three in a row! The Leinster team (by no means the fans!) had a quiet celebration on Saturday night. This was due to the fact that they had a big celebration last year in the RDS and went on to lose against Munster in the league final of the Rabo Direct Pro 12. This year they have to face the Ospreys in the final this coming weekend and they are determined to do the double. To crown an already brilliant season, Rob Kearney, the Leinster full back has been named as the European player of the year for 2012! What an achievement by Leinster. An unprecedented third victory in four years, they are only the second club in history to win back-to-back titles and the first team to go through a season in Europe unbeaten. The current team is by no means old and will return next season with a hunger for more glory. So this marks the end of this season’s rugby until the Autumn Internationals. It was an indifferent season for the Irish national team with a poor third place finish in the Six Nations and Wales completing their tenth Grand Slam. It saw what is considered as the demise of what was a brilliant Munster team,the rise of Ulster to play in the Heineken Cup final, and Connacht going on to compete in their second Heineken cup competition!